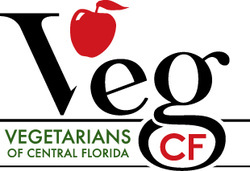 Central Florida Veg Fest features several great speakers on a variety of vegan-related topics! Veg Fest speakers are emceed by Jenna Bardroff of Jungle Sponsor Solutionary Events, Julie Watkins of Garden Sponsor The Girls Gone Green, and Imari Spigner of Garden Sponsor Noor XVII. If you are interested in being a speaker at Veg Fest, please fill out the Speaker Application. If you have any questions about speaking at Veg Fest, please contact Veg Fest speaker coordinator Jenna Bardroff at Jenna@CFVegFest.org or 941-730-4745. 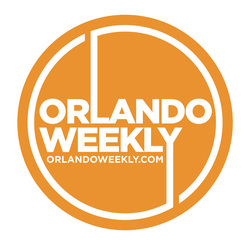 "Welcome to Central Florida Veg Fest and Vegan Rap"
Her younger sister became a vegetarian... and during some family interventions that focused on trying to turn her "back to normal," Vanja decided to try the lifestyle herself. It made no sense to keep eating meat for food any more. She was a vegetarian for 8 years and she thought that she was doing all she possibly could for the animals and the environment. She saw a documentary Forks over Knives and that's when her eyes truly opened up about the cruelty of the dairy and egg industry. She immediately became a vegan and has been vegan for almost 7 years. Vanja has a huge passion for spreading knowledge about a vegan and cruelty-free lifestyle, which prompted her to develop a 1-week vegan challenge program to enable people to try vegan living. ​Vanja will talking about a 1-week vegan challenge she has developed to help people try going vegan the easy way. This is a free program, which will provide them with a grocery shopping list, meal plan, and recipes. They will also be a part of an exclusive community support group where they will get help on their journey to a vegan lifestyle. Vanja also has a youtube channel - Vanja's Vegan Voyage where she posts videos about vegan recipes, restaurant reviews, etc. Jenna is an event coordinator, humane educator, and solutionary. At 5 years old, Jenna made the connection between the meat put on her plate and her best friend, a pot-bellied pig named Arnie. Being vegetarian since then, Jenna has always been motivated by the reward of making the world a more compassionate place. At the age of 14, Jenna initiated her first animal education program at a unique sanctuary, the same year she began college and adopted a vegan lifestyle. She has a B.S. degree in Integrative Biology, a Master of Arts degree in Humane Education, and has spent over 12 years researching the solutions to and consequences of problematic cultural consumer behaviors. Jenna is a full-time volunteer Event Director for Solutionary Events, Education Director for the Solutionary Species Movement, a Board Member of Vegan Business Center, and is also the Executive Director of Vegetarians of Central Florida. She lives with her partner and their two rescued avian children in St. Petersburg. Being a "good" person is not always so easy. There is not always a clear distinction between making the "right" or "wrong" choices. Words such as "good," "bad," "right," and "wrong" are subjective and are based on our own knowledge and experiences. Thus, we humans tend to have many disagreements and differing opinions. Human beings, in many regards, have become a part of the world's problems, such as social injustices, animal cruelty, and environmental devastation. It's time we start to embrace a new way of thinking. A solutionary mindset can help to bring people together, despite our differences, to create solutions for a problematic society, so together, we can become a Solutionary Species for the benefit of and connection with people, animals, and the environment. Naomi Green is a certified Vegan Lifestyle Coach and Educator who is also certified in plant-based nutrition from the eCornell T. Colin Campbell Center for Nutrition Studies. Naomi specializes in helping people embrace being whole food vegan and achieve serious health benefits fast. She has been coaching private clients and running group weight loss programs online (globally), as well as a free online Facebook support group for those going vegan for health. She regularly presents cooking workshops, cooking parties and corporate wellness program events around the Tampa Bay Area since recovering from breast cancer treatment in 2014 and she credits both yoga and going vegan with her health, healing, and happiness. ​Did you know that breast cancer is a disease of the heart chakra - that it literally is a "broken heart?" It's also a disease of our broken food system, consumer product system and big pharma system as well as a symptom of our busy, stress-filled lives. Learn how these all cause cancer progression, as well as how whole plant foods stop cancer initiation, halt cancer progression, and reduce risk of cancer recurrence. Naomi will also discuss how being vegan and living a life of compassion for all beings can literally heal a broken heart and a broken planet. She's experienced it and she will share her breast cancer story, along with medical evidence. Nil Zacharias is the co-founder of One Green Planet, the largest digital media platform focused on food and sustainability. He is also host of the popular weekly podcast,"#EatForThePlanet with Nil Zacharias and co-author of the book, Eat For The Planet. Nil started his career as a media and technology lawyer and worked for over a decade in the digital media and online advertising space in various business and operational roles prior to founding One Green Planet. He can be found on Twitter @nilzach. ​Most people understand the animal welfare and health arguments for eating a plant-based diet, but the environmental benefits have long been overlooked. In this talk, Nil Zacharias, author of the Eat For The Planet book and host of the #EatForThePlanet podcast, uses impactful visuals and compelling statistics to explain why we urgently need to change the way we eat if we want to have any hope of saving the planet and future generations. It's not all doom and gloom though, this talk also includes simple steps everyone can take to be a part of the solution and also provides insights into the tremendous global movement to change the food system from the inside out and redefine the future of food. On her first job as a registered nurse, in a huge corporate hospital, Katharine realized that her calling to help people, looked like helping people who want to help themselves, stay healthy with an appropriate lifestyle. Katharine turned to education as a way to help people make appropriate and informed choices on diet. Working with the great vegan healthy educators: Ann Wigmore, Dr Gabriel Cousens, David Avocado Wolfe, Viktoras Kulvinskas, and studying the writings of Hippocrates, Natural Hygienists, and practicing Taoist and Buddhist longevity exercises, Katharine healed herself, over time, of full body psoriasis, monthly fever blisters, and a crippling depression. She finds herself feeling better at 60 than she did at 20, and is skillful in sharing what she has learned, in a way that helps you identify and adopt healthier habits for yourself. She is an Integrative Lifestyle RN, Wellness Educator, Chef, and Author. Check out Fly Healthy, The Jetsetter Health Handbook. If food is medicine, then why not eat in a way to increase your vitality, appearance and life expectancy? When you look at food as fuel for your body, super foods naturally seem like the best choices for filling your tank! Katharine will clarify what super foods are, clearing up the marketing hype and help you determine how to choose the best food to fuel your body for a vibrant, healthy, long life. Royce Ashcroft is a talk show host & professional emcee who has been vegan since January 2016. He and his fiance, vegan supermodel Imari Spigner, created Noor XVII, the vegan entertainment network. Together, they host unique and one-of-a-kind events centered towards uplifting and embracing the vegan lifestyle. Noor XVII hosts the vegan gala, the vegan backyard BBQ, but most notably and highly anticipated is The 2018 International Vegan Fashion Show. Royce's dream job is to be a full-time game show host. He has an entire original gameshow game created called Gematria. The gameshow is going through the beta test phase and will be presented to major media outlets such as Netflix and Hulu, just to name a few. In the meantime, Royce hosts his internet based talk show called, "The Royce Airs Show." Royce invites vegans and non-vegans to have an open discussion about the vegan lifestyle. Are you one of the only vegans in your family? Are old friends laughing and rejecting your lifestyle? Allow Royce to help you present the vegan lifestyle appropriately, so you can effectively plant the right seeds that will help anyone want to make the transition. Vegan Fashion--What's in My Clothes? Taryn Hipwell is the founder of Beyond the Label, the author of How to Shop for Shi(f)t, a thought leader, and consumer engagement specialist in the realm of sustainable fashion. Beyond the Label (BtL) started as a partnership with TEDxLA to educate Angelenos about the true health, social, and environmental cost of their fashion purchases. BtL is now a charitable organization that addresses the question "What's in my tee?" to encourage shoppers to consider what their T-shirt is made of and how their purchases affect the world, the workers, and themselves. Taryn has taught and spoken around the world including Namanuga School in Zambia, the Green School in Bali and NYU, FIT, FIDM, CSU, SMC, UCLA, Loyola Law, and Sourcing @ MAGIC. She is part of the Advisory Council for Fashion Revolution USA, and on the Advisory Board for the Santa Monica College Fashion Department, and Infinite Flow - a Wheelchair Dance Company. Taryn will share fun facts and hard facts about the use of animals in fashion and will discuss practical solutions. She will review the creation of the 2 Beyond the Label Nutrition label tees and why they are awesome for the environment.